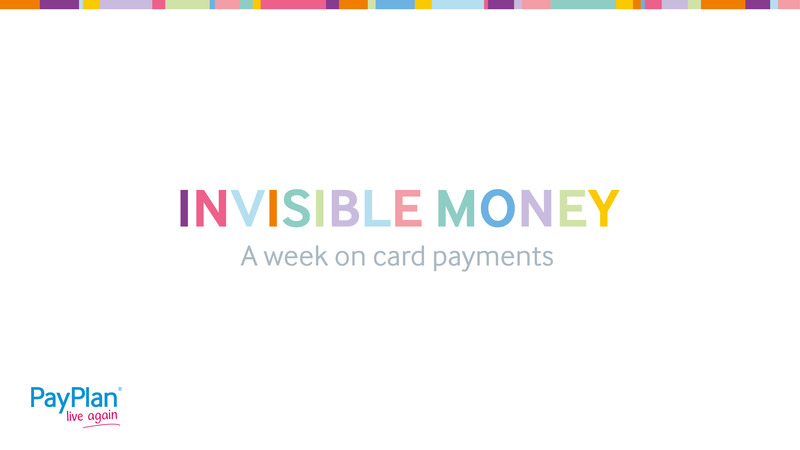 To fully test the theory behind our invisible money campaign, we asked a lifestyle blogger called Rachel to live for a week on card only payments, followed by a week on cash only payments. We asked her to film video diaries during the two week experiment to keep track of her spend. We then looked at her reactions during this period to see whether there was any truth behind the concept – do you spend more money when you can’t physically see it? Week 1 – Card Only Payments. At the beginning of the week, Rachel said she wasn’t worried about her week on card only payments because this was the norm for her. She rarely withdrew cash. During her week on card payments, Rachel had a few events she needed to spend on – Mother’s Day, an outfit for a school theme day for her son and a birthday present for his friend. However she admitted when using her card she also bought things that she hadn’t planned on doing. Because she had her card when picking up her Mother’s Day gifts, she also bought herself something. She didn’t have any limits. She also did a bit of online shopping – a luxury she couldn’t partake in when she had to do her second week with cash only payments. Rachel raised an interesting point in week 1 when she had to use the slightest bit of cash. She needed air in her tyres and the machine only accepted coins – it was only a 50p spend but it goes to show it isn’t always possible to use your card for everything. She also had to spend £1 in cash on some raffle tickets. Other than that she found her week of card payments fairly easy. 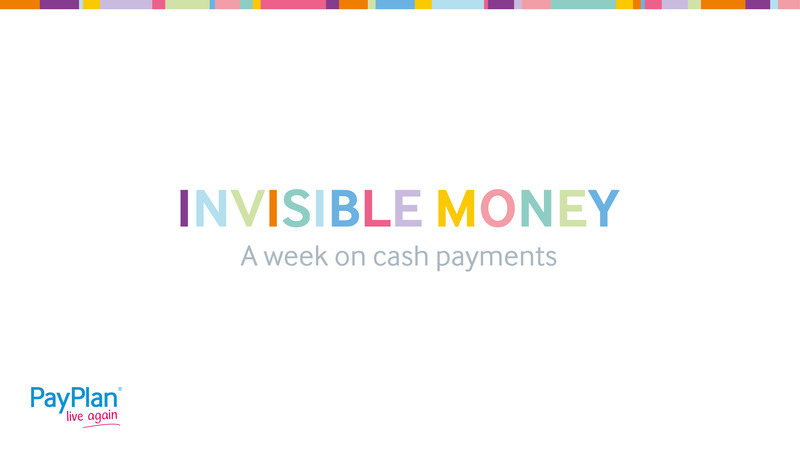 Week 2 – Cash Only Payments. For week 2 of the experiment, Rachel could only use cash for her payments. Talking at the beginning of the week she mentioned she was looking forward to a break from her card – it was a welcome challenge because she had overspent the week previous. While looking forward to her card free week, she also mentioned being scared at the prospect. She feared being caught short and not having enough money. You certainly need to be more careful when buying things with cash because if a cash machine isn’t in site, you can stuck. At the beginning of week 2, Rachel took out £200 as a planned budget. Her approach to her weekly shop changed; whereas normally she would have just put whatever in her basket because she didn’t have to worry about going over budget by a few pound, with cash she counted her items because she had to be careful – she was restricted to the amount she had in her purse. When Rachel was on her cash week, you can see her making cutbacks – in week 1 she went for a coffee and met her friend for lunch – in week 2 she went over to her friend’s house for coffee instead to save money. She budgeted more, mainly because of her cash restrictions but also partly because she admitted she had overspent in the first week. It’s interesting that she did overspend on card, a lot of us perhaps don’t realise how much more we spend when opting for card payments. We don’t think about the little extras that add up on the monthly statement. It certainly seems there is a truth to the concept of invisible money. When you can’t see the money you spend, it’s easy to take it for granted. The fact that card payments don’t instantly show up on a bank statement the way ATM withdrawals do, also disguises your spend. Rachel overspent on card and she said at the end of the two weeks that it opened her eyes about how easy it was to do so, too easy in her opinion. She also said that she was going to make more of an effort to budget with cash, not giving up use of her card, but taking the time to restrict herself once in a while. Campaign homepage – This tells you everything we did as part of our research. Infographic – We surveyed a group of people to look into how people spend money and we also researched the rise of contactless payments. Top tips – In light of the campaign, we wanted to put together some top tips on how to control your card spend.